The red, scaly rash suddenly appearing on your face doesn’t cause you much physical discomfort, but it’s still embarrassing. And to make matters worse treating it as you would other skin ailments seems to make it worse. Your ailment might be a particular skin condition known as peri-oral dermatitis. Although its overall occurrence is fairly low (1% or less of the population worldwide) it seems to be more prevalent in industrialized countries like the United States, predominantly among women ages 20-45. Peri-oral dermatitis can appear on the skin as a rash of small red bumps, pimples or blisters. You usually don’t feel anything but some patients can have occasional stinging, itching or burning sensations. It’s often misidentified as other types of skin rashes, which can be an issue when it comes to treatment. Steroid-based ointments that work well with other skin ailments could have the opposite effect with peri-oral dermatitis. 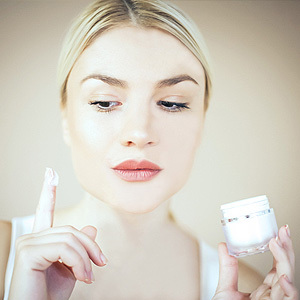 If you’re using that kind of cream out of your medicine cabinet, your rash may look better initially because the steroid constricts the tiny blood vessels in the skin. But the reduction in redness won’t last as the steroid tends to suppress the skin’s natural healing capacity with continued use. The best treatment for peri-oral dermatitis is to first stop using any topical steroid ointments, including other-the-counter hydrocortisone, and any other medications, lotions or creams on it. Instead, wash your skin with a mild soap. Although the rash may flare up initially, it should begin to subside after a few days. A physician can further treat it with antibiotic lotions typically containing Clindamycin or Metronidazole, or a non-prescription, anti-itch lotion for a less severe case. For many this clears up the condition long-term, but there’s always the possibility of relapse. A repeat of this treatment is usually effective. Tell your dentist if you have recurring bouts of a rash that match these descriptions. More than likely you’ll be referred to a dermatologist for treatment. With the right attention—and avoiding the wrong treatment ointment—you’ll be able to say goodbye to this annoying and embarrassing rash. If you would like more information on peri-oral dermatitis, please contact us or schedule an appointment for a consultation.